Washington, D.C., May 9, 2018—Today’s nomination hearing for Gina Haspel to be CIA director provides an opportunity for the agency and Haspel to fill in the blanks on the CIA “black sites” and interrogation program. The National Security Archive has already identified key questions about Haspel’s record [see box below]. Today, the Archive provides the basis for an evidence-based review of the Rendition, Detention and Interrogation (RDI) program, posting a selection of the most recent versions of declassified documents that reveal the RDI’s background. The materials presented here are actual CIA records, not journalistic reporting or other second-hand accounts. They come from ACLU lawsuits and court cases, CIA’s electronic reading room and former officers’ web site, and the Senate Select Committee on Intelligence (SSCI) report on the agency’s controversial program. When the SSCI investigated the program, the CIA did what it could to dissect, delay, and dispute the investigators. Then the record shows that it tried to hide evidence, not just from the public but even inside government, where videotapes depicting CIA torture were destroyed, the SSCI report gutted in declassification, and other documents released with censors’ floors littered with deletions. CIA nominee Haspel was a central figure in the first of these episodes, the tapes destruction. 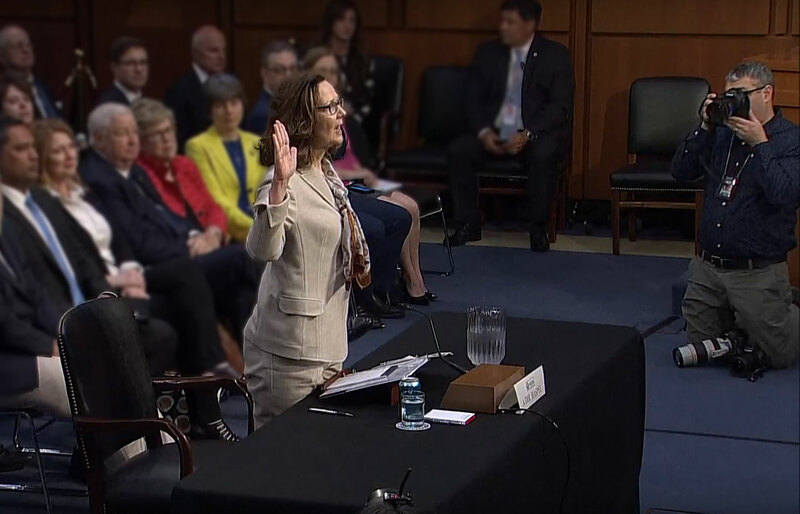 Senate consideration of her nomination to head the CIA therefore offers an opportunity to revisit those bad old days and come clean on activities still unnecessarily shrouded in secrecy. As a brief overview, following the September 11 attacks the CIA and cooperating security services conducted a roundup of terrorist suspects, corralling more than 3,000 persons in a hundred countries. The RDI program began as a subset of that global sweep, with the capture in Pakistan early in 2002 of suspected Al Qaeda higher up Abu Zubaydah. The CIA wanted to interrogate him, but not on U.S. soil, where the agency is prohibited from doing so by domestic laws and the prisoner might have recourse to U.S. courts. 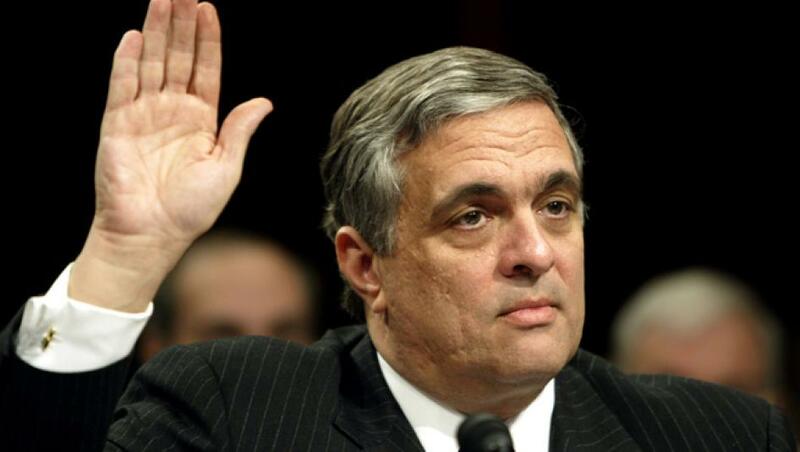 Director of Central Intelligence George J. Tenet authorized the creation of a detention site on October 25, 2001. A rushed effort to find one led to Thailand, whose government approved a CIA base at Chiang Mai (called Site GREEN in the SSCI report, “Cat’s Eye” in other places). Zubaydah, who had been wounded when apprehended, was moved to Chiang Mai as soon as it became feasible. In the early days at Cat’s Eye, Abu Zubaydah was the only prisoner. The FBI’s Soufan reports that he obtained good results questioning the man using conventional techniques. He even received commendations from Director Tenet. Videotaping was in use as early as April 27, 2002, when it is mentioned in cable traffic between CIA headquarters at Langley and Thailand. On May 6 a dispatch directive from headquarters instructed Chiang Mai to preserve the interrogation videos and not record over any of them. On May 8 the wannabee terrorist bomber Jose Padilla was arrested on arrival at O’Hare airport from Pakistan, on information from travel agent Zubaydah. This is significant because the intelligence basis had to have preceded the CIA’s torture of Zubaydah. Nevertheless, at the same time, in May 2002, officials at CIA headquarters were discussing Abu Zubaydah as if he was withholding information. The first meetings of CIA lawyers with Justice Department and National Security Council staff took place in May. 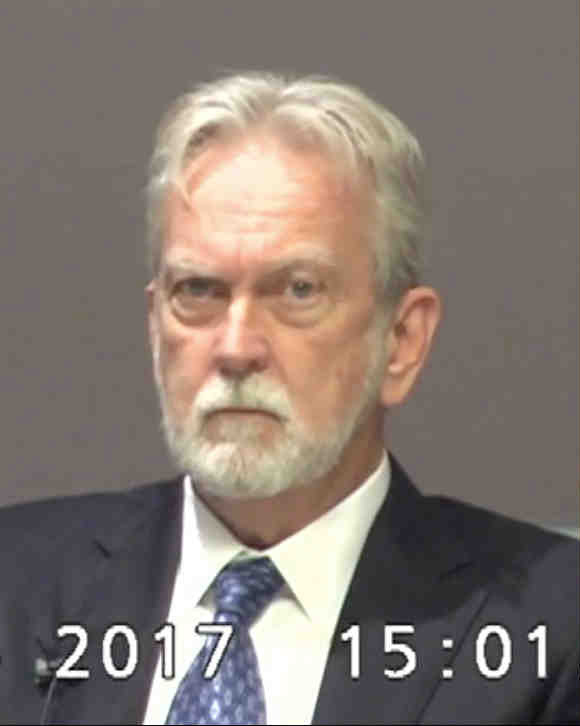 In June the outside psychologist James E. Mitchell went to Cat’s Eye to review the process, and returned to tell officers of the agency Counterterrorism Center (CTC) that the prisoner should be subjected to strong-arm methods, which the CIA disguised with the euphemism “enhanced interrogation techniques.” The CIA sought Justice Department approval of a range of these techniques, and the department’s Office of Legal Counsel provided an opinion justifying the use of torture. By August, Mitchell, employed as an agency contract officer, was back in Thailand and beginning to apply his methods. It’s noteworthy that the torture techniques were applied not to a prisoner refusing to answer questions, but rather as a preliminary, a softening up before the prisoner was questioned at all. Despite the Justice Department go-ahead, the CIA remained very sensitive to charges regarding the RDI program, and made constant modifications designed to maintain discipline, deepen secrecy, reduce legal jeopardy, and so on. When Cat’s Eye personnel, within days of the onset of torture of Abu Zubaydah, warned that the methods appeared to cross legal norms, they were told not to mention such things in dispatches. The CIA’s first representations to Congress on the interrogation techniques—no record for which appears to exist—were followed within weeks by new instructions to the black site regarding interrogation videotapes. Chiang Mai was suddenly to stop recording separate tapes, use just one tape, and record over it as quickly as staff could make written notes of the proceedings. This is the point where Gina Haspel enters the story. From October 2002 Haspel was chief of base at Chiang Mai, commander of the site where interrogations were taking place. Until the public has more information there is simply no way to judge Haspel’s responsibility in the torture. Application of torture to Abu Zubaydah may or may not have ended, and a new prisoner, Abd al-Rahim al-Nashiri (captured in Karachi, Pakistan, on September 11, 2002), had arrived at the black site but the chronology of his case remains cloaked in secrecy. If videos of Nashiri’s interrogations existed, and were recorded in the period from October through December, they would implicate Haspel directly. Haspel, a 46-year old professional intelligence officer, who had joined the agency in 1985, had been in the field in Africa and the Middle East. The CIA’s press release on Haspel records that she returned from the field to work at the CTC and that her first day on the job was September 11, 2001. Also at CTC that day for the first time was Jose Rodriguez, and it was Rodriguez, rising as an operations chief at the CTC and then its director, to whom Haspel appears to have had the closest links. There continues to be evidence that Rodriguez’s approach was more aggressive than many of his field officers (Item 24). In the spring of 2003, for example, CTC lawyers informed CIA medical staff that imposing any further health standards for detainee treatment would require approval from the CIA director. Episodes with which Base Chief Haspel seems linked concern the torture videotapes. The instruction for a new method of record keeping, re-recording over the videos (Item 2), took place late in October 2002, soon after the chief’s arrival on the scene. During this period the Thai government, increasingly uncomfortable at the presence of the CIA black site, rescinded its approval for the base. In December 2002 the agency suddenly had to shut down the facility. This took place shortly after Rodriguez had succeeded to the leadership of the CTC, and occasioned a set of sharp-toned cables from headquarters on the handling of videos, here with Haspel at the other end of the circuit (Item 3). The tapes were to be kept under lock and key by the CIA station in Bangkok, its top echelon in Thailand. Over the period of 2003 to 2005, the agency’s black sites themselves shifted to Poland, Afghanistan, Romania, Lithuania, and Morocco. Much activity in the RDI program centered on CIA officials believing their efforts were approved and supported by the Bush administration. It was only in November 2002 that Langley established a training course for neophyte interrogators. In December, CIA established an RDI Group within the CTC, but it was not until May 25, 2004, that Langley created the Detainee Working Group, a focal point for detention and interrogation matters. On January 28, 2003, Director Tenet issued formal directives, for the first time, to govern interrogations, the medical handling of prisoners, and other aspects of the RDI program. In June 2003 the CIA set a requirement for debriefing interrogators when they returned from assignments at the black sites. That September, the Office of Medical Services issued a fourth draft of additional formal health guidelines. The Inspector General’s report notes this document “remains in draft”—never approved (Item 7). Thus, the black sites program had been underway for half a year with ad hoc guidance, and beyond that CIA only gradually set up an apparatus for coherent management. Meanwhile, Director Tenet held a meeting on January 10, 2003, to discuss destruction of the torture videos, but when that intention was mentioned to lawyers at the White House and legislators in Congress, reaction proved uniformly negative. There were renewed discussions of disposing of “magnetic tapes” in the summer of 2003. In addition, after encountering public criticism the previous year, President Bush had made public pronouncements that persons the United States captured would be treated in accordance with the Geneva conventions, a very different regime than the one that existed in CIA prisons. That discrepancy became the subject of a White House meeting on January 16, 2003. Conversations on these matters culminated in a July 29, 2003 meeting, where the CIA criticized the administration’s rhetoric on prisoners and the Geneva conventions as undermining agency efforts (Item 5). Langley made claims for the effectiveness of its interrogations in a briefing to the officials gathered at the White House (Item 6). The CIA’s internal conflict over the RDI program reached a high point early in 2004. At that time the agency’s Inspector General, John Helgerson, had been conducting a review of detention and interrogation for more than a year, and he had completed a draft of his report which he circulated to CIA officials for comment. His text (Item 7) aroused protests. James L. Pavitt, the agency’s deputy director for operations, filed a “comments” memorandum on February 27 charging Helgerson with presenting an “imbalanced and inaccurate” picture, attaching a DO-authored account of interrogation successes. Pavitt argued the only proper conclusions for the IG report were that CIA efforts “have thwarted attacks and saved lives” and that torture, “(including the waterboard)” had been “indispensable to our successes.” This document of early 2004 in fact set the narrative that CIA former participants in these programs have sought to impose ever since. The events of 2004, not even counting things that happened later, show that narrative by no means enjoyed universal acceptance. Another hole opened in the CIA operation when the Justice Department backtracked on its assurances that the agency’s interrogation techniques were legal and authorized. Justice officials had begun to say they had never considered or approved the ways CIA employed and administered its tactics in practice, in particular the intensity and extent of waterboarding. 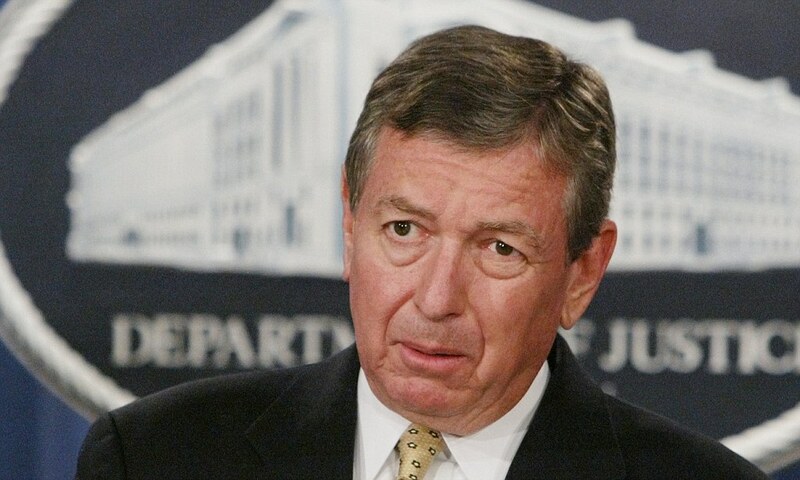 On March 2, 2004, Director Tenet sought out Attorney General John Ashcroft for a telephone conference. Tenet’s talking points indicate the agency thought it imperative that the Department of Justice (DOJ) either confirm the principles set out in Justice memoranda or identify what would be acceptable. Ashcroft and other Justice officials typically responded that they did not disagree with the CIA, while ordaining new revisions in the Department’s legal memoranda that supposedly underlay the CIA actions. The back-and-forth over DOJ opinions—beyond the scope of this briefing book—became another vein of the torture program story that continued for years. Context is all-important in these events. The United States had invaded Iraq in March 2003 alleging as a pretext that that nation was developing weapons of mass destruction. Much of the summer and fall of 2003 passed in a frantic search for evidence to back up the original charges, and the role of the CIA’s intelligence in justifying the invasion had come under increasing scrutiny. On January 28, 2004 David Kay, who had led the on-the-ground search in Iraq had presented his negative findings to the Senate Armed Services Committee. On February 6 President George W. Bush had signed an executive order providing for a commission to study intelligence on weapons of mass destruction, seeking to shift blame for his Iraq miscalculations onto CIA. The SSCI was itself at a late stage of preparing the report it would issue in July that focused on CIA assessments of Iraq. And the 9/11 Commission studying the September 11 attacks was moving to public hearings on the role of intelligence. George Tenet would testify on March 24 and April 14, 2004, and Cofer Black (of the CTC) plus John O. Brennan would be in public on April 14. That was also the time when a firestorm of criticism erupted over revelations of U.S. military mistreatment of prisoners at Abu Ghraib prison in Iraq. When the television newsmagazine 60 Minutes, on April 28, showed photos of Iraqi prisoners being abused, it brought public revulsion. The CIA had a tangential involvement in Iraq interrogations, and agency officials attended briefings where Congress sought information on the Iraq excesses. To have put a controversy over the RDI program on top of all this must have looked to Langley like a suicide mission. CIA records show that agency officials did not meet with Congress, even in the severely restricted “Gang of Eight” or “Gang of Four” configurations, between the fall of 2003 and the summer of 2004. John Helgerson produced his IG report on rendition and interrogation on May 7, 2004. On the 11th, staff of Vice-President Richard Cheney renewed instructions to the CIA not to destroy any videotapes. Director Tenet held daily “threat matrix” staff meetings to observe the latest developments in the war on terror. On May 24 (Item 8) he kept senior officials behind after the meeting to consider the statement of a senior DOJ official to CIA General Counsel Scott Muller that Justice had never rendered a written opinion on the interrogation techniques measured against a certain legal standard. Previous concurrence in the CIA briefing from July 2003 (Item 6), approval of language for letters, or even participation in creating talking points, DOJ now asserted, was not the same as approving the CIA program. Tenet reacted by suspending all CIA use of strong-arm methods. He also activated a Detainee Working Group at this time. The CIA’s actions surrounding the Inspector General’s report would be carefully choreographed. On June 4 Tenet sent a memorandum to national security adviser Condoleezza Rice (Item 9) asking that NSC principals, especially Attorney General Ashcroft, affirm their legal and policy support for the CIA interrogation techniques. This eventually led to another White House meeting, on July 2 (Item 11). Tenet’s talking points and the CIA briefing slides show that the agency made claims for the effectiveness of interrogations and once more sought approval for its techniques. Only after putting these actions in motion did Director Tenet, on June 22, forward the Inspector General report to the Senate intelligence committee chairman (Item 10), and the same for the House. Agency officers finally briefed the IG report to the congressional committees on July 13. The record for the House committee briefing is at Item 12. The CIA never bothered to complete a record of its meeting with Senate committee leaders (Item 13). Director George Tenet retired from the agency in July 2004, brought down by the dispute over Iraq intelligence. Porter J. Goss, formerly chairman of the House intelligence committee, followed Tenet as director. Despite assurances to Congress and to the Justice Department, the CIA interrogation program continued to generate excesses the Inspector General was obliged to investigate (Items 14, 20, 21). The agency defended itself, arguing that information extracted from detainees had been “pivotal” to U.S. efforts against terrorism (Item 15). Responding under oath to a lawsuit later brought by former detainees, operational chief Jose Rodriguez was adamant that CIA methods had harmed no one, though he had never witnessed them, experienced them himself, or even conducted a search of the medical literature (Item 24). Agency lawyer John Rizzo argued that everything Langley did was legal and approved (Item 25). 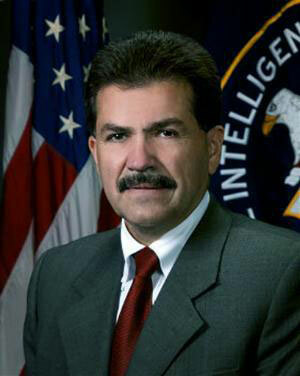 Rodriguez became the director of the National Clandestine Service (NCS)—the renamed Directorate of Operations—following Pavitt. He brought in Haspel as chief of staff. That was her post in 2005 when the CIA learned that the Washington Post had the story of the “black sites” and torture and was going to publish it. At the beginning of November Rodriguez spearheaded a full court effort to get the Post to abandon the story, starting with the NCS chief himself inviting reporter Dana Priest to Langley to give her reasons why. Priest, not impressed, refused to be drawn in. Bush administration officials, including Vice President Cheney and Director of National Intelligence John D. Negroponte also failed in making a similar pitch to Post editor Leonard Downie, Jr.
Knowing the revelations were coming, Vice President Cheney rose at a periodic Tuesday luncheon of Republican senators, had the room cleared of all staff, and spoke to the legislators of the value of the CIA interrogations and the results obtained. Dana Priest’s story appeared in the newspaper’s November 2 edition. It would win the Pulitzer Prize. 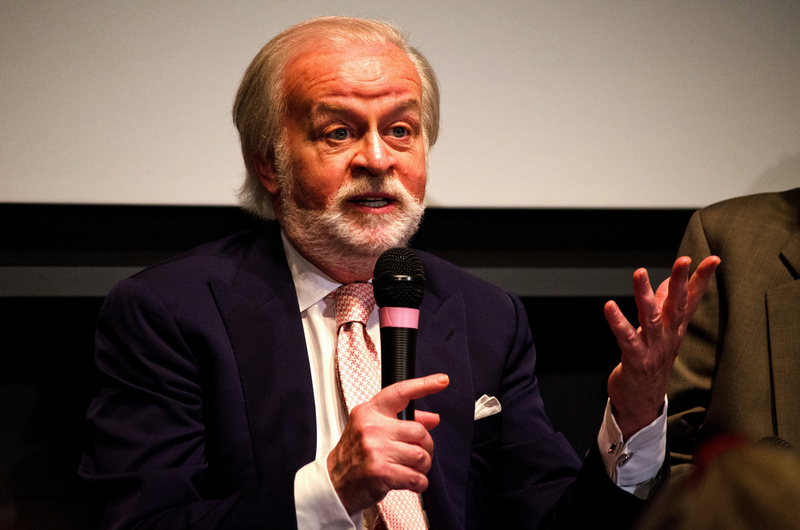 The revelations triggered frantic action at the NCS offices. The aim was to destroy the torture videotapes. The way in which Jose Rodriguez represents this in his memoir is instructive. In one passage he refers to the close-out of Chiang Mai base and the request of its chief (Gina Haspel) to destroy videotapes stacked in a jumble on her bookcase, which could be conveniently thrown on a bonfire raging outside. She was about to do that when a cable arrived, which Rodriguez quotes as saying,“Hold up on the tapes. We think they should be retained for a while longer.” Actually, this dispatch (Item 3) was a good deal sharper in tone and, because of censorship, the public is as yet unaware if that cable came from Jose Rodriguez himself. In any case, in the wake of the black sites revelation, NCS chief Rodriguez had chief of staff Haspel meet with Counterterrorism Center lawyers Robert Eatinger and Stephen Hermes. By the chief’s account the lawyers told Haspel that destroying the tapes would be legal and that he had the authority to do it. Rodriguez then had Haspel and the lawyers draft language that could be put into a cable sent to Bangkok on the back channel, requesting authority to destroy the torture tapes. The CIA station there could repeat the request in the front channel. Haspel also drafted the approval, after which the deed would be done. Bangkok then reported the tapes destroyed on November 9 (Items 16-18). Rodriguez, in his own account, reports he pressed the “SEND” button that dispatched the cable, but otherwise all the activities are attributed to Ms. Haspel. John Bennett succeeded to the top position at the National Clandestine Service, recently returned to its old designation as the Directorate of Operations. Haspel went to London as chief of station. Upon her return, Bennett selected Haspel for his deputy. 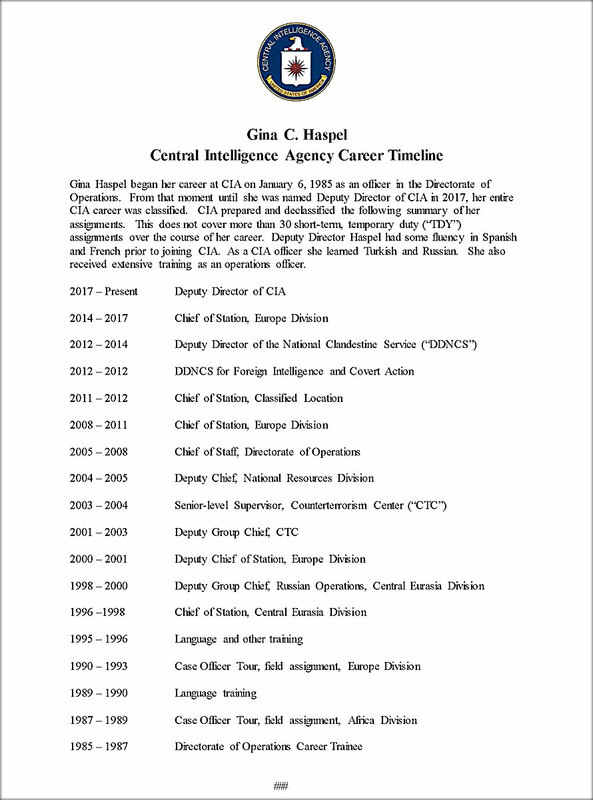 When Bennet left the CIA in February 2013, Haspel served as acting director of the DO for over two months. When Michael Pompeo was appointed to head the CIA in 2017, Haspel rose to deputy director of the agency. Whether or not the Trump administration decides to open the door for a public debate, questions regarding Haspel’s role compel national attention, and in considering her suitability as Director of the Central Intelligence Agency, the CIA detention and torture issues automatically intrude. Director of Central Intelligence George Tenet pushed the CIA takeover of detentions and interrogations of Al Qaeda suspects, despite the agency's almost total lack of capacity, thus opening the door for the contract psychologists Mitchell and Jessen who promoted torture. 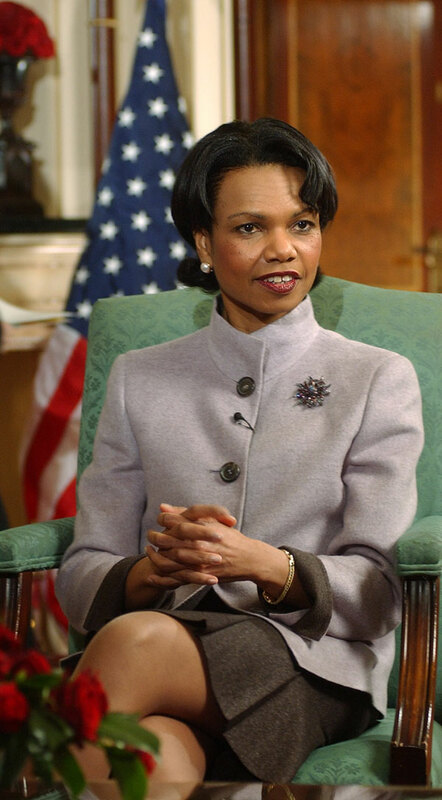 National security adviser Condoleezza Rice approved the CIA's torture methods until after the Abu Ghraib exposures in 2004, at which point she took waterboarding off the list. Attorney General John Ashcroft repeatedly signed off on the CIA's torture methods after White House meetings insisted on by CIA when President George W. Bush and other officials claimed the U.S. was treating detainees "humanely." The CIA's careful summary of Gina Haspel's career, leaving out all her short-term posts including her command of the Thailand black site in late 2002 where Nashiri was tortured. Top CIA lawyer John Rizzo worked the Justice Department to get legal approval for the proposed torture methods in a series of secret opinions that were ultimately repudiated by Justice but only years later. 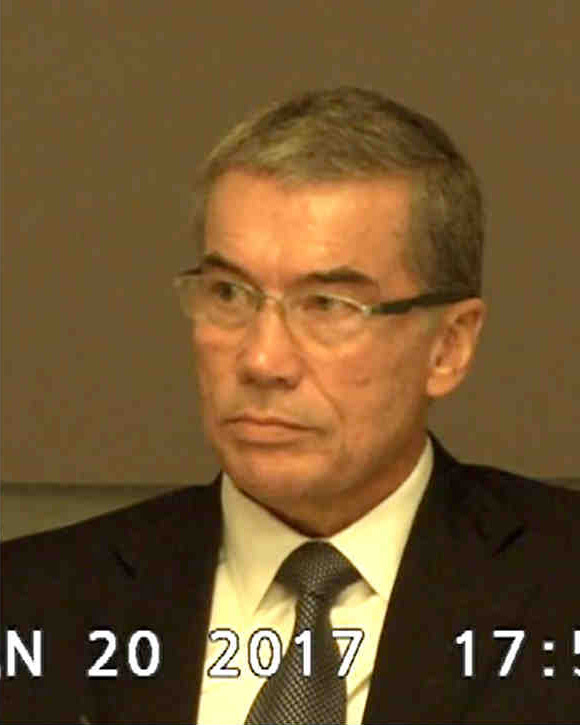 CIA contract psychologist James Mitchell being deposed in the Salim v. Mitchell case after he persuaded the CIA to adopt torture methods and to outsource the whole detention program to him and his partner Bruce Jessen. Contract psychologist John “Bruce" Jessen, who like Mitchell had never done an interrogation before and had no Al Qaeda or Arabic expertise, but persuaded the CIA to adopt torture methods that North Korea had used on American POWs during the Korean War. 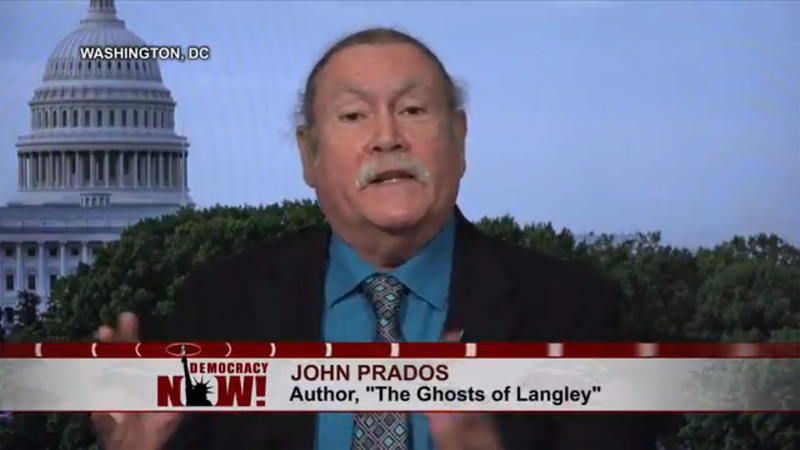 John Prados, The Ghosts of Langley: Into the CIA’s Heart of Darkness. New York: The New Press, 2017, pp. 1-29, 103-106, 114-116, 313-383. George J. Tenet, Remarks by the Director of Central Intelligence at the Nixon Center Awards Banquet, December 11, 2002, p. 3. Copy in author’s files. Ali H. Soufan, The Black Banners: The Inside Story of 9/11 and the War Against al-Qaeda. New York: W.W. Norton, 2011. George J. Tenet, “Statement for the Record of the Director of Central Intelligence for the 9/11 Commission,” March 24, 2004, p. 20. Copy in author’s files. Senate Select Committee on Intelligence, Committee Study of the Central Intelligence Agency’s Detention and Interrogation Program. U.S. Congress/SSCI, December 2012 (declassified December 7, 2014), p. 123 and fn. An expurgated version of the Pavitt memorandum is also available in the electronic reading room on the CIA’s website. CIA Memo, March 2, 2004 (declassified 9.11.2014), not reproduced here. While they could not kill the story entirely, the officials did succeed in keeping the names of host countries Poland and Lithuania out of it. Dana Priest, “From Ex-CIA Oficial, A Blunt Defense of Harsh Interrogation,” Washington Post, April 25, 2012, pp. C1, C9. Andrew Alexander, “The Tough Question of What Not to Disclose,” Washington Post, May 31, 2009, p. A15. In its publication the Post actually did hold back the names of countries where the black sites had been located. Dana Priest, “CIA Holds Terror Suspects in Secret Prisons,” Washington Post, November 2, 2005, pp. A1. Jose A. Rodriguez, Jr., with Bill Harlow, Hard Measures: How Aggressive CIA Actions After 9/11 Saved American Lives. New York: Threshold Editions, 2012, pp. 118-119, 191-195, quoted at p. 119. Quoted, Mary L. Kelly, “New CIA Deputy Director’s Past Intertwined with CIA’s History of Waterboarding,” National Public Radio, February 14, 2017.